Updates to Debra Darlene's profile since your last visit are highlighted in yellow. 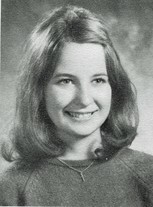 Debra Darlene Bonner Wark has a birthday today. Debra Darlene Bonner Wark posted a message. New comment added. Hi Sheri - will look for you @ the dinner Saturday - think of you fondly - hoping life has been good for you - Retired life awesome!!! Debra Darlene Bonner Wark added a comment on her Profile.